What’s up dudes and dudettes! The chill coolios at The A.V. Club want to drop some hip science on you for a minute, because we’re all equally young and love to stay up on the flyest news, am I right? Check it out, all you super-dope boys and girls, even though you don’t need to be called “boys and girls” because you don’t need labels because labels are totally bogus maximus! 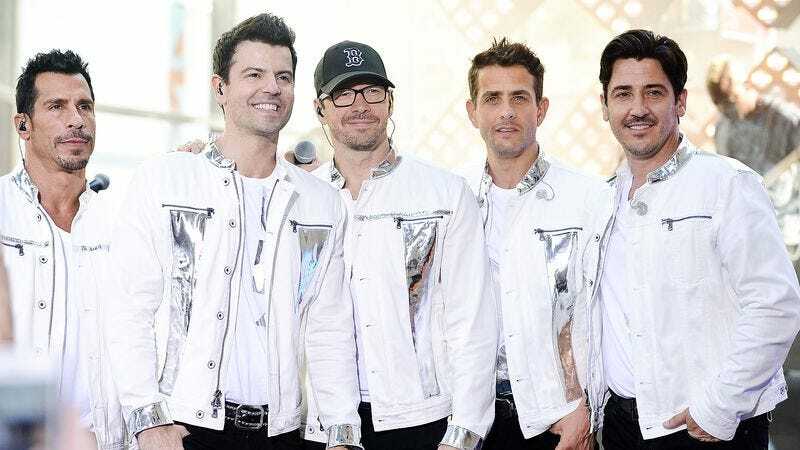 It’s time to get your pogs packed up and ready to travel, because your favorite musicians—New Kids On The Block, Boyz II Men, and Paula Abdul—went on the Today show this morning and announced they’re all going on tour together! Jiggy-fresh! Let’s all hear the details, you kids who definitely Rocked the Vote and are just waiting to get back to the next PewDiePie video. New Kids On The Block have been reunion-touring it up since 2008, going step by step, ooh baby, from one year to the next, even releasing a couple of bitchin’ records you guys all own, though of course just digitally, or maybe on vinyl, because you’re totally down with OPP and also saving the environment by not buying those wiggity-wack plastic CD cases. But this tour is extra on fleek, since Paula Abdul, who we all totes love from American Idol (only like the best show ever, a-no-a-duh) is joining for her first live tour in 25 years! Four Loko! The three artists, who have collectively sold somewhere north of 200 million albums, are going to be popping and locking their way into our hearts again starting in May 2017, with the first concert happening in the totally bodacious town of Columbus, Ohio. Tickets go on sale November 16, so you can Venmo your tickets into your iWallet first thing that day. Vampire Diaries!